Pocarine Reminiscence Troop is the company aiming to invite the audience to the time and space which exists in gap between reality and unreal world. “Paradice floating in the air over 3cm from the ground”, as they call. 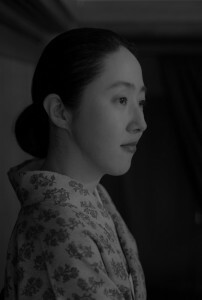 Yasu Myojin, playwright and director, found the company in 1997. Since then, the company has kept examining the possibilities of “Physicality that surely exists here”. The lithe and graceful figure of people contains eternity and something that would not be able to transform in any words. Myojin’s plays are constructed in physical language and words which come out from the bottom of hearts. The company has produced [Wafuku/Ladies/Space] series, that performed not only in theaters but also in greenhouse, gallery and free-spaces. In the performances the deeper silence has appeared on the platform, based on the seasons, places and the buildings. These performances are widely applauded, and described as “Theater of existence”, “meditative space where the film of reality revealed”, “Circus of soul” and “the work that penetrates the unseen, rear-side of world”. Yasu Myojin has been active for workshops and Theater Camp, the cultural seminar for non-native Japanese, making original musical with the handicapped children, as well as part-time teacher at high school. Her “Poka” method that based on the Japanese sense of physicality is well received for all generations. “Ping-Pong”: Nominated in Best New Play of Japan Playwright’s Association Award. “Pictures”: Awarded for Promoting Creative Artistic Activities by Agency for Cultural Affairs. Copyright © 2019 明神 慈 – MYOJIN Yasu – . All Rights Reserved.